Sergei Mosiychuk, age 19, killed in battle this week. Russian proxies attacked Ukraine’s Armed Forces with 82 mm and 120 mm mortars. Two mortar attacks were recorded in Krymske, three more in Troitske and yet another four in Novozvanivka. In Donetsk sector 23 enemy attacks were recorded, 11 of them involved heavy weapons. Most hostilities took place in Svitlodarsk area and in Avdiivka. During the day militants performed multiple brief shellings of Luhanske, and after 23:00 massive mortar fire was recorded here, with militants firing over sixty 120 mm rounds. Russia-backed militants twice shelled Avdiivka with mortars, Kamianka suffered three mortar shellings. Near Donetsk airport the militants employed machine guns and grenade launchers. Near Horlivka the enemy used only small arms. In Mariupol sector a slight improvement was recorded, only 27 ceasefire violations took place there. Russia-backed militants shelled Krasnohorivka and Taramchuk with mortars; in Pavlopil – Shyrokyne frontline area militants used small arms and grenade launchers. Enemy snipers engaged Ukrainian forces in Hnutove and Vodiane. All the other incidents were limited to small arms fire. According to the ATO [Anti-Terrorist Operation, Avdeyevka (Avdiivka) is once again without power, Apostrophe reported. The electricity went out at about 19:00 today, March 29, evidently due to damage of the Makeyevka 2 line. Repair crews have headed out to the site. On March 14, Avdeyevka and about 9 other towns were left without power when shelling by Russia-backed forces damaged the line. Repairs had recently been completed on the facility. In its early morning report, the ATO said on the Mariupol line, there were 29 attacks with 82-mm mortars and 122-mm and 125-mm artillery banned under the Minsk agreement. There was shelling of civilian areas in Vodyanoye, Shirokino and Zenit, although there were no reports of any injuries among civilians. At 18:00, the ATO reported that Popasnyaya had been struck by 120-mm mortars banned under the Minsk agreement. A Ukrainian soldier was wounded and was rushed to the Popasnyaya City Hospital but doctors were unable to save him. Other areas along the front line were hit by 82-mm, 120-mm and 120-mm artillery. As we reported, the military gave the order to remove all soldiers under 20 years old from the front line on March 27. It was not soon enough for Serhiy Mosiychuk, who was killed in battle earlier this week and buried today. The Polish Consulate was attacked in Lutsk today. Lutsk is in northwestern Ukraine, and is the administrative center of Volyn Region. Lutsk was historically part of the Kingdom of Poland and was annexed by the Soviet Union in World War II. Both the Soviet NKVD and Nazis committed massacres there as did the Ukrainian Insurgent Army, and these chapters of history remain a source of tension between Poland and Ukraine. Most of the Poles were either killed or fled. The Polish Consulate General was established in Lutsk in 2003. Many social media commentators viewed this anonymous act of violence as yet another provocation, coming on the heels last week of the murder of Russian former MP Denis Voronenkov and the explosion at the ammunition depot in Balakliya, in which one person was killed and 5 injured. President Petro Poroshenko immediately condemned the attack, but that did not prevent Poland from seeking to have Ukraine take responsibility. Translation of @Alexey_Pushkov: The Polish Consulate in Ukraine was shelled from a grenade-launcher. The Banderovites destroyed the Poles, and today's [Banderovites] shell them. So there are no illusions. 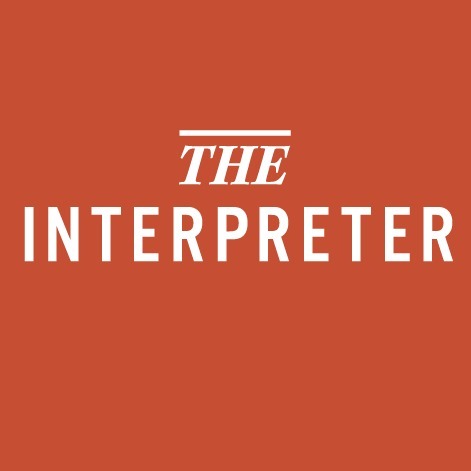 Note: The Interpreter has lost its funding!